■ From last week: Cubs co-owner Todd Ricketts expands Trump fundraising role. Trump’s new tack. Updating coverage: The White House staff says the president will try an “optimism and unity” approach in his State of the Union address. ■ Among the president’s guests tonight: A boy who’s been bullied because his last name is Trump. ‘They’re sick of the mainstream media trying to decide the election for them.’ Chicago mayoral candidate Amara Enyia says WFLD-Ch. 32’s decision to air a two-hour forum Thursday evening with just five of the 14 candidates on the ballot is short-changing the voters. ■ Enyia is defending her profound personal financial screw-ups. ■ The Sun-Times defied a federal magistrate judge to publish revelations about Ald. Danny Solis’ secret recordings. ■ The Tribune’s latest aldermanic endorsements include an executive architect for IBM to replace Solis. 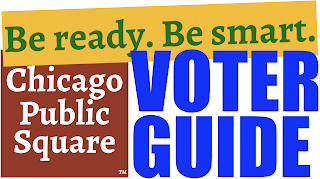 ■ Get ready: The Square voter guide is here. Chicago teachers strike. Faculty at four of the city’s charter schools are off the job. 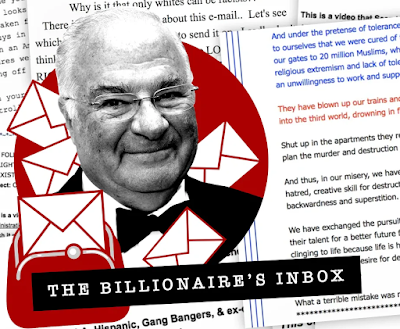 ■ … which arose under the auspices of the network’s scandalized former CEO and founder (November link). ■ Disclaimer: Your Square publisher hates dress codes, and has for a long time. ■ … which may help explain why O’Hare ranked low in September’s J.D. Power 2018 North America Airport Satisfaction Study. Facebook ‘unsend.’ You now will have 10 minutes to retract notes sent in error via Messenger. ■ … and DNA tests taketh: FamilyTreeDNA has been sharing users’ genetic data with the FBI. Ice storm cometh. Expect slickness, power outages and tree damage overnight. ■ The Metra Electric line’s schedule will remain crippled through Friday. ■ A former American Meteorological Society president warns about the rise of wind-chill deniers. ■ Climate change will turn the world’s oceans greener and bluer. Hearts not totally eclipsed. Reports of a dearth of candy conversation hearts this Valentine’s Day have been greatly exaggerated. Chicago-based Ferrara Candy Co. says it’ll have plenty of its variety around. ■ Tips for observing the day frugally. Thanks … to people who support Chicago Public Square and keep this thing coming your way. ■ … and to reader Ron Schwartz, who noted a word missing in the O’Hare item above.